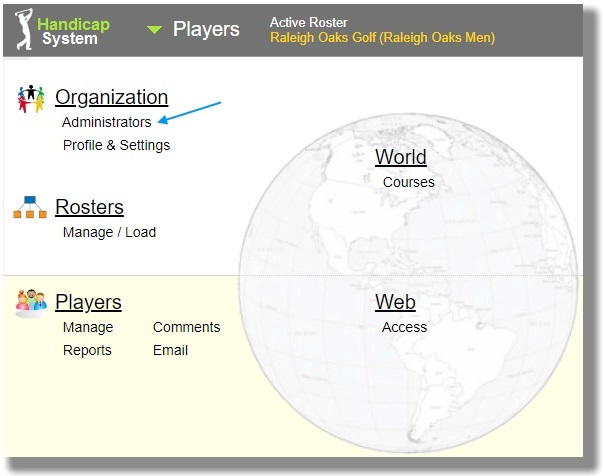 In Handicap System, activate the Options Menu by placing your pointer inside the area indicated below in orange. Click on "Administrators" link under "Organization" section on the Options Menu (pictured above at top). Click on the button labeled, "Add/Edit/Delete Administrators". You will be taken to your Customer Panel (where you arrive when you log in to your account) to the Administrators tab. Click on the button labeled "Add administrator". 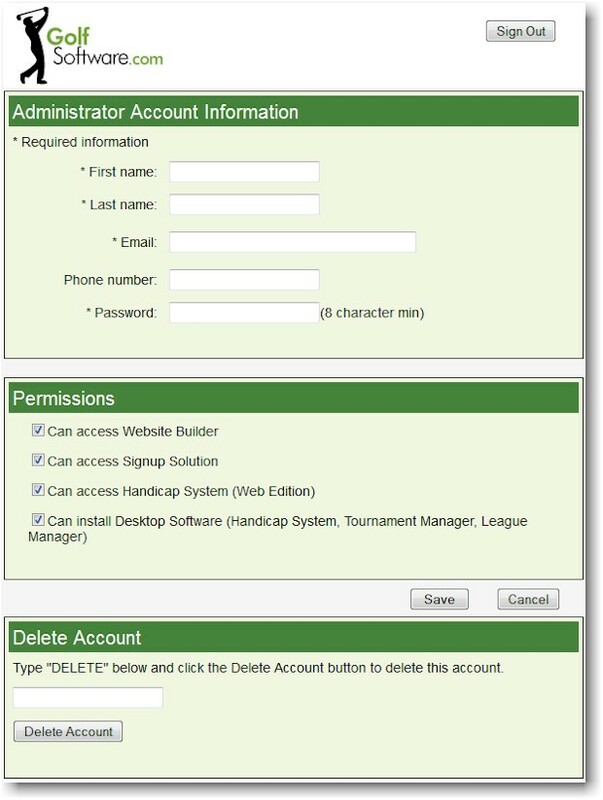 Fill out the Administrator Account Information and make your Permissions selections as complete as possible and click on the Save button. Note that the new administrator will be able to change their own password once they log in with the initial password that you provide to them. Leave the "Delete Account" section blank. When you get to Step 4 in the instructions to add an administrator above, click on the Edit link to the left of the administrator that you want to edit. Follow the prompts and then save your modifications. When you get to Step 4 in the instructions to add an administrator above, click on the Edit link to the left of the administrator that you want to delete. Confirm in the Administrator Account Information section that you have selected the correct administrator to delete. Type the word "delete" - it is not case sensitive - into the box under the Delete Account banner and then click the button labeled Delete Account.